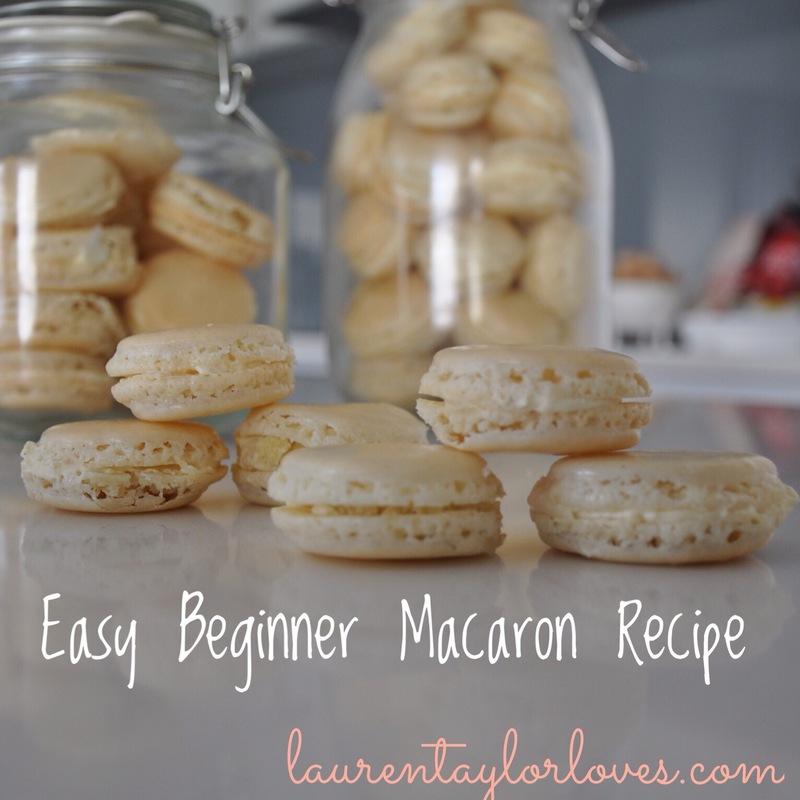 Macarons seem to be everywhere on Lifestyle Food lately, and I have seen so many recipes, so many hints and tips, some different and some the same, that I wanted to have a go for myself. I felt like if I took all the hints and tips from each and threw them together, I may come out with something that resembles a macaron. I’ve been suprised that this recipe has been such a success. Four batches now and each worked perfectly. The key difference for me is using frozen egg white. 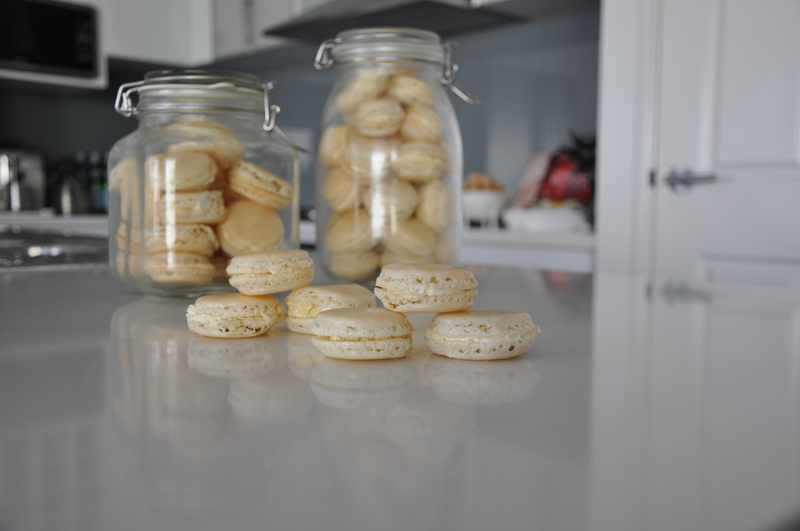 Basically I had stopped making macarons because of all the leftover egg yolk, and now I don’t have any! Let me know if you try it, and how yours go. – Preheat oven to 150 degrees fan forced. – Sift your icing sugar and almond meal three times, then blitz in a food processor. It’s important that you have 2 1/2 cups of icing sugar and 2 cups of almond meal, once it’s been sifted so sometimes it’s just easier to measure it out afterwards. Keep aside in a bowl. – I used a thermomix to beat 6 frozen eggwhites with the butterfly attachment. Speed 4 for 6 minutes. I gradually added the caster sugar over the first minute of beating. – The egg whites will be very white and slightly shiny. Still a bit runny, but not overly. – Combine the almond meal mixture gradually to the egg whites, folding them together at half way, and then again with the entire mixture. Use your spatula to combine them, with a circular motion, and then a cut straight down the centre of the bowl. Martha says to do this 37 times, so I do. – Place the combined mixture into a piping bag, and pipe small circles onto a lined baking tray. – A skin should form in six to twenty minutes time. 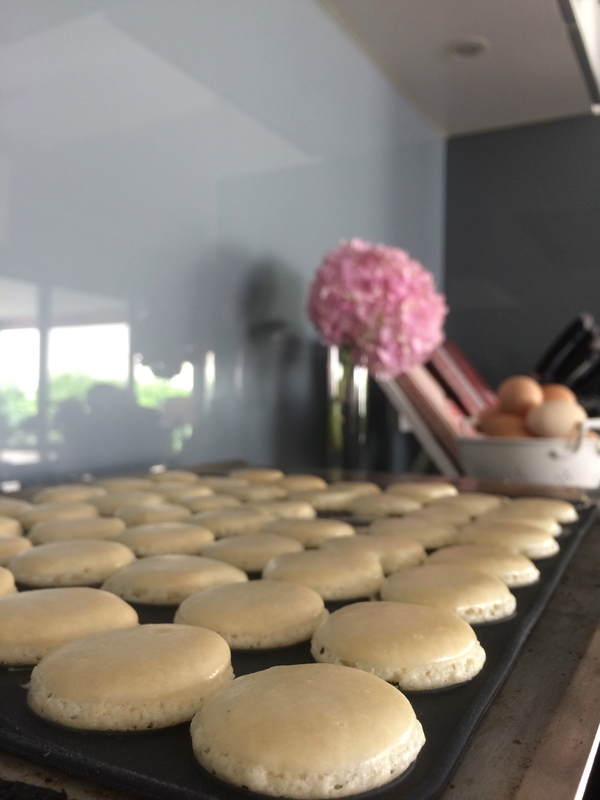 As soon as you can touch the macaron without any of the biscuit sticking to your hand, you can place in the oven. – Reduce the oven temperature to 130 degrees and bake for 17 minutes. I use a simple buttercream mix for the centre, that I’ve adapted from Donna Hay’s Macaron Recipe. You can use jams or a chocolate ganache or a coulis, whatever you prefer. 125 grams of softened butter, a tablespoon of vanilla bean paste, 1 cup of almond meal and 1 cup of icing sugar. Beat the butter and the vanilla for 5 minutes, before added the meal and sugar, and beat for another five. 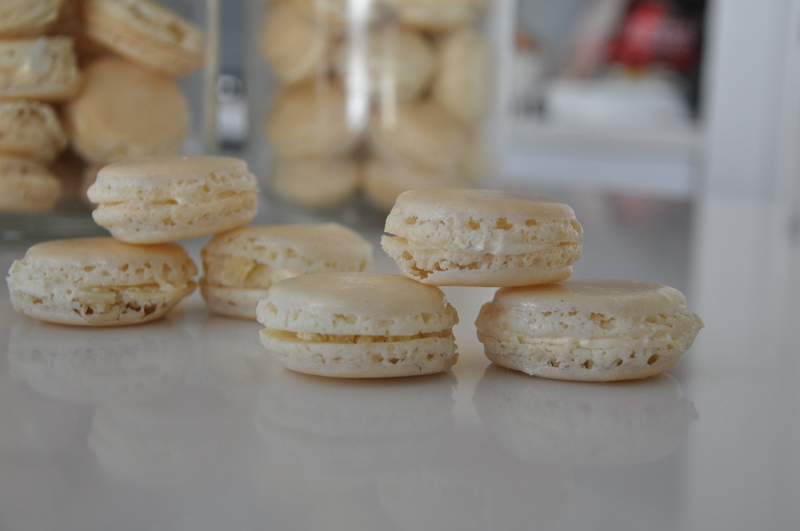 Use the cream to sandwich the macaron shells together once cooled. That parts simple. 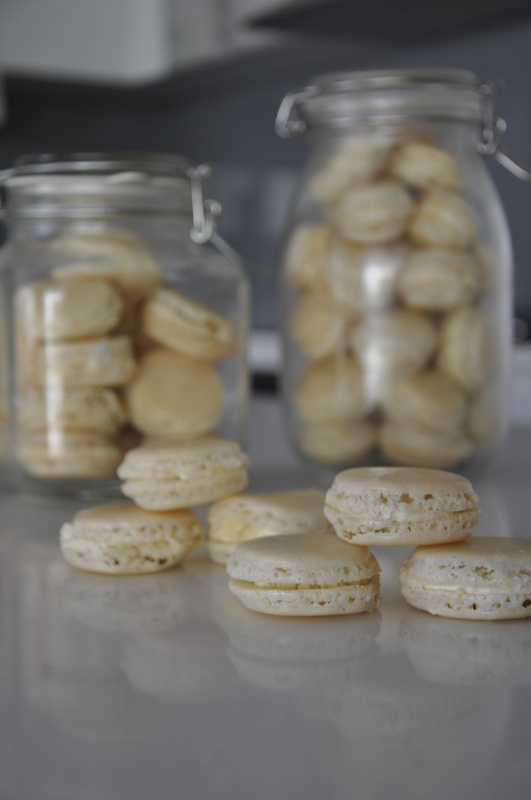 Macarons are extremely complex, over or under whipping, not taking the air out by tapping the mixture, the skin not forming, over or under mixing, can all be pressure points and can lead to disaster. I wish you luck, and hope this recipe is a great success for you!